The Damages Directive,2 which has now been implemented in all Member States, has continued to shape the private antitrust litigation landscape in the EU in 2018. The Damages Directive is intended to achieve greater harmonisation between private competition enforcement regimes across Member States, in pursuit of the expressed aim of the European Commission (Commission) to encourage greater private enforcement of competition law. It is also intended to foster a complementary relationship between public and private enforcement. While the Damages Directive sets out a series of minimum requirements, Member States retain discretion over a range of areas, and there remain significant variations between national regimes post-implementation. Major changes and areas of difference are discussed in greater detail below, but the effect in many jurisdictions has been to create a unique regime for competition damages claims that is distinct from general civil litigation claims. Another recent development has been an increased focus on the potential introduction of a harmonised class action regime. Following the publication of the Commission report on the practical implementation of the Commission Recommendation 2013/396/EU in January 20183 and the Commission proposal for the 'New Deal for Consumers'4 in April 2018, the debates on collective redress mechanisms have accelerated at both the EU and Member State levels. In terms of litigation activity, there has been an upward trend in antitrust litigation across the EU. Of particular note are the follow-on damages claims arising from various Commission decisions that have been litigated (often in parallel) in multiple Member States. Articles 101 and 102 of the Treaty on the Functioning of the European Union (TFEU), alongside Regulation 1/2003,5 provide the foundation of the legislative framework for private antitrust enforcement: these directly applicable provisions afford EU citizens the substantive right to bring damages claims for harm suffered as a result of a breach of EU competition law. 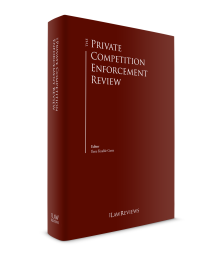 These legal instruments do not, however, address the procedural elements of private antitrust enforcement. Until the introduction of the Damages Directive, there was no single EU legal instrument addressing how antitrust claims could be brought in practice. As discussed in Section I, the Damages Directive set out to create 'a more level playing field for undertakings operating in the internal market'6 by stipulating the minimum requirements that Member States' national laws must meet. Despite this, the extent of harmonisation should not be exaggerated. The Damages Directive does not address a number of important practical matters, such as costs and funding, collective redress and injunctive relief. Moreover, for issues such as jurisdiction and governing law, it is necessary to turn to other pieces of EU legislation (see further below). Even where the Damages Directive does address a particular issue, there is scope for divergence in the interpretation (and therefore the implementation) of its provisions. This is apparent in, for example, how certain Member States have chosen to treat the provisions relating to limitation. These provisions have significantly extended the limitation periods in a number of Member States.11 Pre-implementation, this was an area where there was wide divergence between Member States, both in terms of the length of limitation periods and the point at which they began to run. Compare, for example, the UK (six years after the cause of action accrued) with Spain (one year from the date the injured party discovered the harm). This meant that limitation periods often used to play an important role for claimants when selecting the jurisdiction in which to bring a claim. Nonetheless, some divergence will remain. The Damages Directive does not prevent Member States from imposing limitation periods in excess of five years or absolute limitation periods.12 Moreover, different interpretations of ambiguous provisions will preserve divergence in this area (as well as others). Claims may also be brought in the jurisdiction where the harmful event occurred (meaning either where the cartel was definitively concluded or where the claimant company has its registered office).16 Alternatively, if a claimant is a consumer, the claim may be brought in the jurisdiction where the consumer is domiciled. 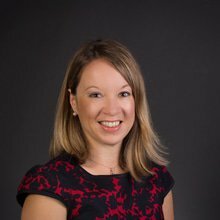 The European Court of Justice (ECJ) has recently considered the application of jurisdiction agreements in competition law cases. In Apple Sales International,17 the ECJ held that the mere fact that a jurisdiction clause does not explicitly refer to claims based on competition law does not automatically prevent it from applying to actions for damages for abuse of dominance based on Article 102 TFEU. The decision contrasts with the ECJ's earlier decision in CDC,18 which held that an explicit reference to claims based on competition law is a prerequisite for applying a jurisdiction agreement to cartel-related claims based on violations of Article 101 TFEU. For events that gave rise to damage after 11 January 2009, the governing law applicable to a restriction of competition is determined by the Rome II Regulation.19 Under the Rome II Regulation, the governing law will be the law of the country where the market is affected.20 When the market is affected in multiple countries, a claimant may choose to base its claim on the law of the Member State where it is bringing its claim, as long as the market of that Member State is directly and substantially affected by the restriction of competition that gives rise to the claim.21 This enables claimants to have their case for antitrust damages heard by one court applying one law, even where more than one defendant is involved or damage occurred in several EU Member States. In recent years, Member State courts have considered the application of choice of law rules under the Rome II Regulation (and the respective national rules pre-dating the Rome II Regulation) in the context of competition law claims.23 This developing jurisprudence may result in a preliminary ruling request to the ECJ. EU competition law applies to any conduct that has an appreciable effect on trade between Member States. The EU courts and the Commission have long considered to what extent, and in what circumstances, EU competition law can apply extraterritorially (i.e., to non-EU undertakings and to conduct that takes place outside the EU) without infringing the principles of public international law. The two main legal tests that have been developed to limit the extraterritorial reach of EU competition law are the implementation test24 and the qualified effects test.25 The former requires that the practices that restrict competition are implemented in the EU (e.g., by direct sales into the EU), and the latter requires that such practices have immediate, substantial and foreseeable effects in the EU. The relationship between the implementation test and the qualified effects test was clarified in Intel,26 where the ECJ observed that the tests pursue the same objective and that EU competition law is applicable if either one is satisfied. In recent years, Member State courts have started to examine the limits of extraterritorial application of EU competition law in the context of private enforcement,27 and it remains to be seen whether a consistent approach will be adopted across the EU. The move towards harmonisation of the disclosure regimes across Member States is one of the most significant changes brought about by the implementation of the Damages Directive. Previously, there was a wide disparity between jurisdictions with sophisticated and well-established disclosure regimes (such as the UK), which were considered claimant-friendly, and jurisdictions where extensive disclosure did not feature in civil litigation (notably Germany and the Netherlands, although these nevertheless remained popular jurisdictions for bringing proceedings for other reasons). EU legislators considered the lack of extensive disclosure regimes in such countries to be an obstacle to effective private enforcement of competition law on the basis that it maintained the information asymmetry that may exist between a party allegedly having suffered loss and an infringer of competition law. For legal systems unaccustomed to extensive disclosure exercises, these new rules may require a significant cultural change (although a combination of transitional rules37 and the need for national courts to acclimatise may mean it will be a number of years before the full effects become apparent). In particular, the references in the Damages Directive to disclosure of relevant categories of evidence will mark a significant change in jurisdictions where disclosure was previously limited to specific documents identified in a disclosure request.38 However, while there is likely to be some degree of harmonisation between Member States going forward, the Damages Directive sets only minimum requirements,39 and a number of jurisdictions have taken the opportunity to go further by creating a substantive right to disclosure (as opposed to giving national courts a mere discretion). It remains to be seen whether these regimes will develop to match the extensive disclosure seen in the UK. The ECJ examined the scope of publication of leniency material in a Commission decision in the Evonik Degussa and AGC Glass Europe cases.46 In Evonik Degussa, the ECJ found that the content of a leniency statement can be referred to in a Commission decision, provided that the source cannot be identified and the precise contents of the submission cannot be reconstructed. These principles were affirmed in AGC Glass Europe. These decisions form part of an ongoing line of cases concerning the confidential nature of materials relating to Commission decisions, which is very significant in the context of private actions for damages in the national courts. The primary motivation for these appeals was to reduce civil claims risk. The Damages Directive is silent on the issue of experts, but the Commission recognises the importance of expert advice in private competition actions, and has published, commissioned and contributed to various guidelines for judges and other practitioners on obtaining and assessing expert evidence.47 This is driven in particular by the complexities of quantifying harm, which in practice requires significant data, with both claimants and defendants routinely engaging economic experts to assess the amount of loss suffered. The use of experts and their role in court proceedings vary from Member State to Member State. Rules differ, for example, regarding whether experts should be party-appointed or court-appointed, and the weight given to their findings. Dutch, English, French and German courts are willing to deal directly with economic reports prepared by experts appointed by the parties, for example, while judges in certain other jurisdictions tend to rely solely on court-appointed experts when addressing economic questions. Member States also differ significantly in the level of partiality permissible to a party-appointed expert, and this question will clearly bear on the weight that the court places on expert evidence. For example, in English courts, party-appointed experts owe a duty to the court, while in Germany there is no express requirement towards objectivity, and so party-appointed experts are treated as potentially partisan extensions of the party in question. Experts need not always be economics or accounting professionals. There is a growing trend in antitrust cases for industry experts to testify, lending their knowledge of the dynamics and operation of certain markets, particularly in cases concerning complex distribution chains. This serves the dual purpose of educating the court on the market in question and ensuring that economists approach the market on the basis of correct assumptions. The Recommendation provides, among other things, that collective redress should be based on express consent of the relevant claimants (i.e., the opt-in model); that any exceptions to this principle (such as opt-out proceedings) should be 'duly justified by reasons of sound administration and justice';53 and that there should be safeguards for minimising the risk of excessive litigation. On 25 January 2018, the Commission published a report on the practical implementation of the Recommendation. As anticipated, the report shows that the availability of collective redress mechanisms, and safeguards against the abuse of such mechanisms, is not consistent across the EU. On the one hand, some Member States (including Belgium, France, Lithuania and the UK) have actively promoted collective redress since 2013. On the other, there are nine Member States that do not provide for any possibility of collective redress for damages arising from breaches of EU law. The report indicates that the Commission will continue to promote and analyse the Recommendation. Following the publication of the Commission report, on 3 October 2018, a study entitled Collective redress in the Member States of the European Union was published.54 The study, which was commissioned at the request of the European Parliament's Committee on Legal Affairs, aims to provide further assessment of the current state of play of collective redress at both the Member State and EU levels; evaluate the opportunity of a European intervention; and provide the European Parliament with concrete recommendations. Separately, on 11 April 2018, the Commission published a proposal for the 'New Deal for Consumers', which aims to enhance consumer protections through, among other things, the introduction of new measures supporting collective redress. These recent publications contribute to a growing debate on collective redress, and the various proposals will likely be subject to further discussions at both the EU and Member State levels. With a view to assisting in relation to the complicated issue of quantification, in 2013 the Commission published a Communication on quantifying harm in antitrust damages actions,55 together with a more detailed Practical Guide,56 to provide national courts and parties to damages actions with an overview of the main economic methods and empirical insights available. The Practical Guide covers various techniques for estimating prices in a counterfactual non-infringement scenario, including observation of comparator data, interpolation and regression analysis. The passing-on defence was already recognised in many Member States prior to implementation of the Damages Directive, but some changes to national legislation have been required, for example, to transfer the burden of proof from the claimant to the defendant (as in France) or to introduce a presumption in favour of indirect purchasers (as in Hungary and the Netherlands). On 5 July 2018, the Commission launched a consultation on draft guidelines designed to give national courts practical guidance on how to estimate the passing-on of overcharges. The draft guidelines set out the applicable legal framework and discuss the economics of pass-on (including the economic theory and quantification methods). The consultation period closed on 4 October 2018. The Damages Directive is intended to facilitate greater follow-on litigation in the Member States, as well as to ensure the optimal interaction between private and public enforcement. The Damages Directive further provides that a final decision in another Member State must be taken as prima facie evidence by a court that an infringement occurred.66 It is noteworthy that some Member States have already gone further in this regard, with German law providing that a final decision by any Member State's NCA will be treated as binding proof of an infringement before the German courts. Implementation has differed significantly across other Member States ranging from Austria (which has followed Germany in making other NCA decisions binding on national courts) to Hungary (which has taken a more restrictive approach by implementing a rebuttable presumption of an infringement in this situation). Regardless of these discrepancies, the overall effect should be to reduce the base evidentiary hurdle to establishing a breach of competition law for follow-on claimants in the EU. As explained above, the Damages Directive also introduced changes to other key issues that affect follow-on damages, such as limitation and disclosure. The net effect has been to increase venue choice for claimants, with many jurisdictions where the private enforcement regimes were arguably underdeveloped now adopting broadly similar rules. The Damages Directive stipulates that Member States must ensure that national courts give full effect to applicable legal professional privilege under EU or national law when ordering the disclosure of evidence.67 It is otherwise silent on the issue of privilege. There is no requirement to apply EU privilege laws,68 meaning that the privilege regimes of individual Member States will be applicable to damages proceedings brought in national courts. The rules protecting communications between a lawyer and his or her client vary considerably between Member States. Broadly, a distinction can be drawn between common law and civil law jurisdictions, with the scope of privilege generally more extensive in the former.69 This stems from the fact that disclosure obligations in civil law jurisdictions were typically (prior to the implementation of the Damages Directive) much narrower than they were under common law.70 This reduced the need for the protection of sensitive legal advice in such jurisdictions. Overlaying this broad distinction is a patchwork of different specific rules. For example, German law hardly recognises the concept of legal privilege at all. In Ireland, the UK, Poland, the Netherlands and Portugal, legal privilege is recognised for in-house counsel as well as external counsel. In the Netherlands and the UK, privilege is extended to communications with lawyers qualified outside the EEA. It will be interesting to observe whether Member States with narrower concepts of legal privilege will adapt their regimes in light of the increased disclosure obligations under the Damages Directive to provide defendants with additional protection. While the Recitals to the Damages Directive emphasise that damages actions represent only one element of an effective private enforcement system (which should also involve consensual dispute resolution),71 the Damages Directive does not mandate any alternative dispute resolution mechanisms. Nor does it regulate settlement procedures generally. However, it did introduce three measures aimed at incentivising the use of consensual dispute resolution mechanisms and increasing their effectiveness. Thirdly, and most significantly, the Damages Directive seeks to ensure that an infringing party that pays damages through consensual dispute resolution should not be placed in a worse position in relation to its co-infringers than it would otherwise have been in absent the consensual settlement. This might be the case, for example, if a party, even after a consensual settlement, continued to be fully jointly and severally liable for the harm caused by the infringement, and therefore remains open to contribution proceedings from other co-infringers. To address this, Member States are to ensure that, following a consensual settlement, the claimant's claim is reduced by the settling co-infringer's share of the harm75 (which is not necessarily the amount it has actually paid),76 and the claimant can only pursue its remaining claim against non-settling co-infringers.77 Importantly, non-settling co-infringers shall not be permitted to recover contribution for the remaining claim from the settling co-infringer.78 This creates significant incentives for defendants to offer an early settlement. Further, in addition to a class actions regime (discussed in Section VII), a number of Member States have collective settlement regimes pursuant to which groups of claims can be settled, including on an opt-out basis. For example, in the UK the collective action regime available in the Competition Appeal Tribunal also includes an opt-out collective settlement regime. In the Netherlands, the Dutch Act on the Collective Settlement of Mass Claims similarly provides for an opt-out mechanism that facilitates collective settlement through a binding declaration from the Amsterdam Court of Appeal. Arbitration is listed among the consensual dispute resolution mechanisms that are actively promoted by the Damages Directive.79 Although the Damages Directive does not prevent claimants from submitting damages claims to arbitration, it is silent on more specific issues such as whether (and how) to include contractual arbitration clauses in respect of competition claims. Arbitration is still relatively rare as a means of resolving competition disputes in Europe, due in part to an inherent tension between arbitration as a private system of dispute resolution and EU competition law as a public system designed to protect consumer welfare and the integrity of the internal market. There are other more specific obstacles to the widespread adoption of arbitration in this field; for example, competition claims often involve a large number of claimants or defendants, or both, from different levels of the distribution chain, which can be problematic where each party has an independent contract with its own arbitration clause (or lack thereof). On the other hand, both arbitration and antitrust claims invariably arise in an international context, and arbitral tribunals are accustomed to complex, multiparty cases. Further, a recent decision by the English High Court80 to stay court proceedings so as to give effect to an arbitration clause indicates that antitrust arbitration may be becoming increasingly accepted in the sphere of private enforcement. The Damages Directive further provides that Member States must ensure that any individual infringer can recover a contribution from co-infringers, in accordance with the relative responsibility for the harm of each co-infringer.83 Again, a carve-out is in place to ensure that immunity applicants can only be required to contribute an amount up to the harm caused to their own direct and indirect purchasers.84 The Damages Directive does not explain what is meant by relative responsibility for harm, and this will be left to Member States to decide.85 Notably, the Damages Directive does not specify a limitation period for contribution claims, meaning that this too will be a matter to be decided at a national level. These changes represent a novel development for many jurisdictions, including the UK, France, Germany and the Netherlands, and could complicate the recovery process for contribution claimants. A major development on the horizon is the UK's withdrawal from the EU. At present, the UK is one of the most important jurisdictions within Europe for private enforcement actions, and claimant firms have expressed confidence that it will remain as such after the UK leaves the EU. Fundamental to whether this will be the case is the extent to which claimants will be able, post-Brexit, to rely on infringement decisions issued by the Commission as a basis for founding a follow-on claim in the UK. If the UK and EU Parliaments ratify a withdrawal agreement under the terms agreed in November 2018, which is not certain at the time of writing, the whole body of EU law will continue to apply to and in the UK until the end of the transition period (i.e., 31 December 2020, unless extended pursuant to the agreement). Accordingly, the Commission would maintain jurisdiction over investigations initiated before the end of that period and claimants would be able to rely on EU law (and the relevant Commission decisions) to initiate private antitrust proceedings before the UK courts. In contrast, if the UK and EU Parliaments do not ratify the agreement, EU law will cease to apply to and in the UK in March 2019. Practically, however, it is likely that claimants would still be able to initiate claims based on breaches of EU competition law (and rely on the relevant Commission decisions) if these claims are framed as foreign tort claims. More generally in relation to EU law, it is only over the next few years that the effect of the Damages Directive will become clear. It seems likely at this stage that its major impact will be to increase venue choice for claimants, as jurisdictions that might not previously have been considered become more appealing to claimants. 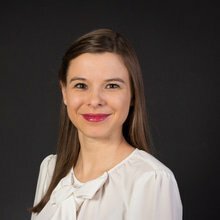 1 William Turtle and Camilla Sanger are partners and Olga Ladrowska is an associate at Slaughter and May. 2 Directive 2014/104/EU of 26 November 2014 (Damages Directive). 3 Commission report on 'the implementation of the Commission recommendation of 11 June 2013 on common principles for injunctive and compensatory collective redress mechanisms in the Member States concerning violations of rights granted under Union law' (COM(2018) 40 final). ba proposal on representative actions for the protection of the collective interests of consumers and repealing the Injunctions Directive 2009/22/EC (COM(2018) 184 final). 5 Regulation (EC) No. 1/2003 of 16 December 2002. 6 Recital 9, Damages Directive. 7 Article 10(3), Damages Directive. The limitation period in a number of jurisdictions (e.g., the UK and the Netherlands) already met this requirement, while in others (e.g., Germany and Spain), it was extended by the national implementing legislation. 8 Article 10(2), Damages Directive. 9 Article 10(4), Damages Directive. There has been some criticism, for example by the City of London Law Society in its response to the UK government's consultation on the national legislation implementing the Damages Directive, that Article 10(4) is not clear as to whether an appeal on penalty alone will suspend the limitation period, and whether an appeal by one addressee suspends the limitation period for all addressees. 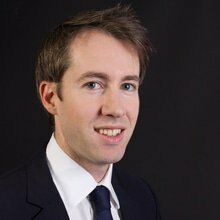 Such questions were previously addressed by the English courts in relation to the former limitation provisions in the cases of BCL Old Co v. BASF  EWCA Civ 434 and Deutsche Bahn AG v. Morgan Advanced Materials plc  UKSC 24. At an EU level, these ambiguities could result in a preliminary ruling request to the European Court of Justice. 10 Article 18(1), Damages Directive. Recital 48 states that 'consensual dispute resolution mechanisms' will include out-of-court settlements, arbitration, mediation and conciliation. 11 By way of example, consider a scenario in which the Commission opened an investigation in 2018 in respect of behaviour that took place between 2010 and 2016, and reached an infringement decision in 2021, with an appeals process lasting until 2024. In this case, the limitation period would only begin to run in 2025, and would last a minimum of five years, until 2030. Therefore, the company would be at risk of a damages claim for almost 15 years after it ceased its anticompetitive conduct. 12 The Damages Directive does allow for long-stop dates to be put in place. Recital 35 states that 'Member States should be able to maintain or introduce absolute limitation periods that are of general application, provided that the duration of such absolute limitation periods does not render practically impossible or excessively difficult the exercise of the right to full compensation'. For example, in the Netherlands a 20-year long-stop limitation period will apply, starting on the date on which the damage was inflicted, irrespective of the victim's awareness. 13 Regulation No. 1215/2012 of 12 December 2012 (Recast Brussels Regulation). 14 Article 4(1), Recast Brussels Regulation. 15 Article 8(1), Recast Brussels Regulation. 16 Article 7(2), Recast Brussels Regulation. See case C-352/13 Cartel Damage Claims (CDC) Hydrogen Peroxide SA v. Akzo Nobel and Others (2015) and case C-27/17 AB flyLAL-Lithuanian Airlines v. Starptautiska lidosta 'Riga' VAS (2018). On 10 July 2018 the ECJ received another preliminary ruling request regarding Article 7(2) in case C-451/18 Tibor-Trans Fuvarozó és Kereskedelmi Kft. v. DAF Trucks NV. 17 Case C-595/17 Apple Sales International et al v. EBizcuss.com (2018). 18 Case C-352/13 Cartel Damage Claims (CDC) Hydrogen Peroxide SA v. Akzo Nobel and Others (2015). 19 Regulation No. 864/2007 of 11 July 2007 (Rome II Regulation). 20 Articles 4 and 6, Rome II Regulation. 21 Article 6(3)(b), Rome II Regulation. 22 Article 14, Rome II Regulation. 23 See, for example, Deutsche Bahn AG & Others v. MasterCard Incorporated & Others  EWHC 412. 24 See, for example, case C-89/85 A Ahlström Osakeyhtiö and others v. Commission of the European Communities (1994). 25 See, for example, case T-102/96 Gencor v. Commission (1999). 26 Case C-413/14 P Intel Corp v. Commission (2017). 27 See, for example, Iiyama (UK) Ltd & Others v. Samsung Electronics Co Ltd & Others  EWCA Civ 220. 28 Article 3(1), Damages Directive. 29 Article 4, Damages Directive. 30 Article 12(1), Damages Directive. 31 Case C – 557/12 Kone AG and others v. ÖBB-Infrastruktur AG (2014). 32 Article 5(1), Damages Directive. 33 Article 5(1), Damages Directive. 34 Article 5(1), Damages Directive. Competition authorities are also expressly permitted to submit observations to the national courts on the proportionality of such disclosure requests (Article 6(11)). 35 Article 5(4), Damages Directive. For instance, through redacting sensitive passages in documents, conducting hearings in camera, restricting the persons allowed to see the evidence, and instructing experts to produce summaries of the information in aggregated or otherwise non-confidential form (see Recital 18). 36 Article 5(6), Damages Directive. 37 For instance, the new provisions on disclosure only apply to claims where proceedings were commenced on or after 27 December 2016 in Germany and 27 May 2017 in Spain. 38 Article 5(2), Damages Directive. 39 Article 5(8), Damages Directive. 40 Defined as an oral or written presentation voluntarily provided to a competition authority (or a record thereof) describing the provider's knowledge of a cartel and describing its role therein, which presentation was drawn up specifically for submission to the competition authority with a view to obtaining immunity or a reduction of fines under a leniency programme, and not including pre-existing information (i.e., evidence that exists irrespective of the proceedings of a competition authority: e.g., contemporaneous documents) (Articles 2(16) and 2(17), Damages Directive). 41 Defined as a voluntary presentation to a competition authority acknowledging the provider's participation in an infringement of competition law, which was drawn up specifically to enable the competition authority to apply a simplified or expedited procedure (Article 2(18), Damages Directive). 42 Article 6(6), Damages Directive. Previously, national courts were expected to undertake a balancing exercise of weighing up the need to facilitate private enforcement of competition law by allowing disclosure of leniency documents versus the public interest in protecting the effectiveness of leniency regimes. 43 Recital 26, Damages Directive. 44 Article 6(5), Damages Directive. 45 Article 6(4)(c), Damages Directive. 46 Case C-162/15 P Evonik Degussa v. Commission (2017) and case C-517/15 AGC Glass Europe and Others (2017). 47 See, for example, 'Study on the Passing-on of Overcharges', RBB Economics et al (2016); Communication from the Commission on quantifying harm in action for damages based on breaches of Article 101 or 102 of the Treaty on the Functioning of the European Union (2013/C 167/07); and Commission Staff Working Document: Practical Guide – quantifying harm in actions for damages based on breaches of Article 101 or 102 of the Treaty on the Functioning of the European Union (SWD (2013) 205). 48 Commission Recommendation of 11 June 2013 on 'common principles for injunctive and compensatory collective redress mechanisms in the Member States concerning violations of rights granted under Union law' (2013/396/EU). 49 Green Paper on 'Damages actions for breach of the EC antitrust rules' (COM(2005) 672 final). 50 White Paper on 'Damages actions for breach of the EC antitrust rules' (COM(2008) 165 final). 51 Communication of 11 June 2013 titled 'Towards a European Horizontal Framework for Collective Redress' (COM(2013) 401 final). 52 Recital 7, the Recommendation. 53 Paragraph 21, the Recommendation. 54 Study, Collective redress in the Member States of the European Union (Policy Department for Citizens' Rights and Constitutional Affairs, October 2018). 55 Communication from the Commission on quantifying harm in actions for damages based on breach of Article 101 or 102 of the Treaty of the Functioning of the European Union (2013/C 167/07). 56 Commission Staff Working Documents: Practical Guide – quantifying harm in actions for damages based on breaches of Article 101 or 102 of the Treaty on the Functioning of the European Union (SWD(2013) 205). 57 Article 17(2) and Recital 47, Damages Directive. 58 Article 3, Damages Directive. 59 Article 17(1), Damages Directive. 60 Article 17(1), Damages Directive. 61 Article 17(3), Damages Directive. 62 Article 13, Damages Directive. 63 Article 14, Damages Directive. 64 Article 9(1), Damages Directive. 65 Article 16(1) Regulation (EC) No. 1/2003, codifying case C-344/98 Masterfoods Limited v. HB Ice Cream Limited (2000). 66 Article 9(2), Damages Directive. 67 Article 5(6), Damages Directive. 68 Note that under EU law, legal professional privilege is considered a limitation on the Commission's investigatory powers and has consequently been defined narrowly. For example, the EU concept of privilege does not extend to advice given by in-house counsel. 69 In common law jurisdictions (such as the UK, Ireland and Cyprus), privilege will protect confidential documents or communications that have been created for the purpose of giving or obtaining legal advice or in preparation for litigation. 70 For example, under English common law a party is required to disclose all documents on which it relies; which adversely affect or support its or another party's case; or that it is required to disclose by a relevant practice direction. 71 Recital 5, Damages Directive. 72 Article 18(1), Damages Directive. 73 Article 18(2), Damages Directive. 74 Article 18(3), Damages Directive. 75 Article 19(1), Damages Directive. 76 According to Recital 51 of the Damages Directive, 'the claim of the injured party should be reduced by the settling infringer's share of the harm caused to it, regardless of whether the amount of the settlement equals or is different from the relative share of the harm that the settling co-infringer inflicted upon the settling injured party'. 77 Article 19(2), Damages Directive. 78 Article 19(2), Damages Directive. 79 See Recital 48, Damages Directive. 80 Microsoft Mobile OY (Ltd) v. Sony Europe Limited et al  EWHC 374. 81 Article 11(1), Damages Directive. 82 Article 11(4), Damages Directive. 83 Article 11(5), Damages Directive. 84 Article 11(5), Damages Directive. 85 Recital 37, Damages Directive does provide that relevant criteria for assessing contribution to harm will include turnover, market share or role in the cartel. 86 Article 11(3)(a), Damages Directive. 87 Article 11(3)(b), Damages Directive. 88 Article 11(2), Damages Directive. 89 Article 11(2), Damages Directive. 90 In relation to the consumer redress legislation, it was announced on 6 December 2018 that the legislation will not be adopted before EU elections in May 2019. 91 The jurisprudence of the ECJ on private enforcement of EU antitrust law is ever-growing. In 2018, Member States requested preliminary rulings on, among other things, the question of which parties are liable for compensation of damage caused by cartel conduct (cases C-724/17 Vantaan kaupunki v. Skanska Industrial Solutions Oy, NCC Industry Oy, Asfaltmix Oy) and the question of what activities amount to participation in a cartel agreement (case C-228/18 Gazdasági Versenyhivatal v. Budapest Bank Nyrt and Others).